An easy way to harness the power of raw foods! Over the past week, I’ve seen the infomercial for the NutriBullet System at least twice and I’ve seen it being presented on HSN. This product’s statements have always resonated with me for some reason (I guess it’s because I can hear my mom telling me to eat my vegetables) and today I realized why: it’s called bioavailability. I know that that term sounds complicated, but it’s really very simple. Think about how many times you’ve needed a sponge to clean something up. When it’s just spilled milk, it takes very little effort to get the sponge to soak up the milk; dried ketchup, on the other hand, takes considerably more effort to scrub and wipe up. That’s exactly how our digestive system works. If you drink a glass of pulp-free orange juice, your body can soak up the nutrients like a sponge, whereas whole foods, like broccoli, spinach or blueberries or spinach, your body has to scrub the foods (break them down) before it can absorb those nutrients. In the infomercials, longevity expert and master nutritionist, David Wolfe (who also appear in “Simply Raw”) explains that when we prepare our vegetables, fruits and nuts in the NutriBullet, they are are turned into super foods they call nutriblasts. 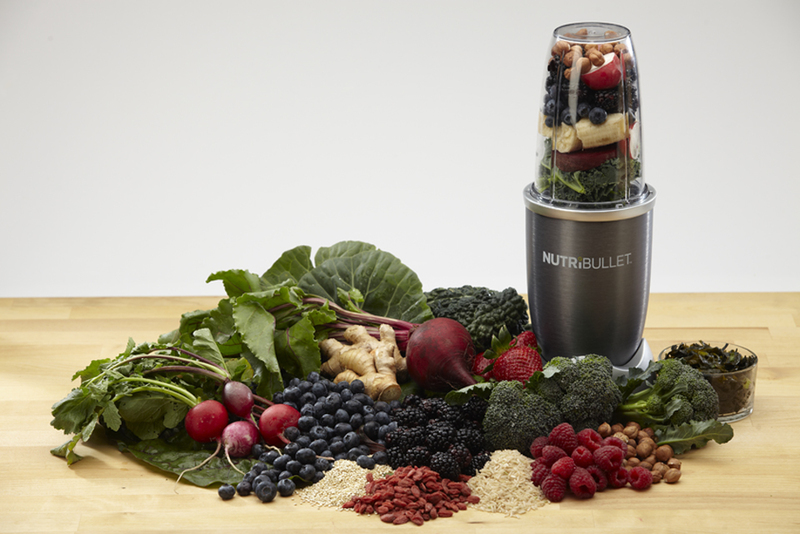 Here’s a video of how the NutriBullet makes the foods we eat super foods. One nutriblast each day is the perfect way to incorporate the raw foods diet lauded in “Simply Raw,” especially if you have an extremely hectic schedule.